An estimated 23 million undocumented and lawfully present immigrants are in the United States. Even so, some states — including Alabama, Arizona, and Utah — legally prohibit the harboring of undocumented immigrants, which pressures healthcare systems to verify the immigration status of patients.9 Such state laws are in direct opposition to the ethical assertions of the AMA, wrote Harbut. The AMA Code challenges policies that throttle appropriate care access for undocumented immigrants. 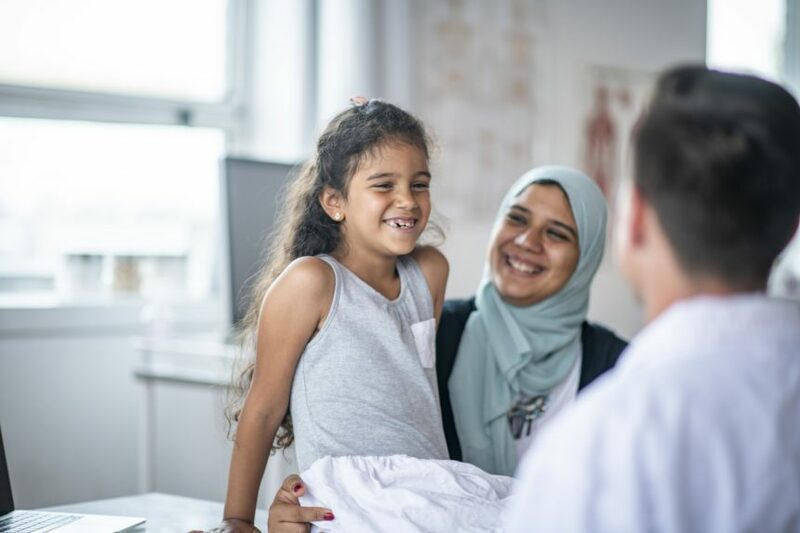 The AMA Code supports equitable healthcare access for immigrant and minority patients and advocates for specific programs to accommodate the unique health needs of these populations. The AMA Code has articulated the ethical obligations of clinicians in the United States for more than a century; its guidelines on immigrant health, thus, may be useful for practitioners in titrating care in vulnerable patient populations. Henry J. Kaiser Family Foundation. Health coverage of immigrants. www.kff.org/disparities-policy/fact-sheet/health-coverage-of-immigrants/. Published February 15, 2019. Accessed March 14, 2019. Harbut RF. AMA policies and code of medical ethics’ opinions related to health care for patients who are immigrants, refugees, or asylees. AMA J Ethics. 2019;21(1):E73-E77. American Medical Association. Opinion 11.1.1 Defining basic health care. Code of Medical Ethics. www.ama-assn.org/delivering-care/defining-basic-health-care. Accessed March 15, 2019. American Medical Association. Opinion 11.1.3 Allocating limited health care resources. Code of Medical Ethics. www.ama-assn.org/delivering-care/allocating-limited-health-care-resources. Accessed March 15, 2019. American Medical Association. Opposition to criminalization of medical care provided to undocumented immigrant patients H-440.876. https://policysearch.ama-assn.org/policyfinder/detail/immigrants. Modified 2014. Accessed March 15, 2019. American Medical Association. Federation payment for emergency services for undocumented immigrants H-160.917. https://policysearch.ama-assn.org/policyfinder/detail/immigrants. Modified 2009. Accessed March 15, 2019. American Medical Association. Medical needs of unaccompanied, undocumented immigrant children D-65.992. https://policysearch.ama-assn.org/policyfinder/detail/immigrants. Modified 2015. Accessed March 15, 2019. American Medical Association. Improving medical care in immigrant detention centers D-350.983. https://policysearch.ama-assn.org/policyfinder/detail/immigrants. Modified 2017. Accessed March 15, 2019. American College of Physicians. State immigration initiatives affecting access to health care. https://www.acponline.org/system/files/documents/advocacy/state_health_policy/otherissuesofinterest/state_immigration_innitiatives.pdf. Accessed March 15, 2019. American Medical Association. Addressing immigrant health disparities H-350.957. https://policysearch.ama-assn.org/policyfinder/detail/refugee. Published 2015. Accessed March 15, 2019.American Medical Association. Increasing detection of mental illness and encouraging education D-345.994. https://policysearch.ama-assn.org/policyfinder/detail/refugeecare. Published 2016. Accessed March 15, 2019. What Does the AMA Augmented Intelligence Policy Mean for Healthcare Professionals?